So you want to write a plugin. First you will need the right tools. Java comes in a few ‘flavours’ – JRE (Java Run-time Environment), JEE (Java Enterprise Edition), and JDK (Java Development Kit). We won’t go into what these are as that is beyond the scope (or need) of our plugin adventure. What we need is JDK version 8. You can download it here. Do not be tempted to use a newer version of Java like v9 or v10. 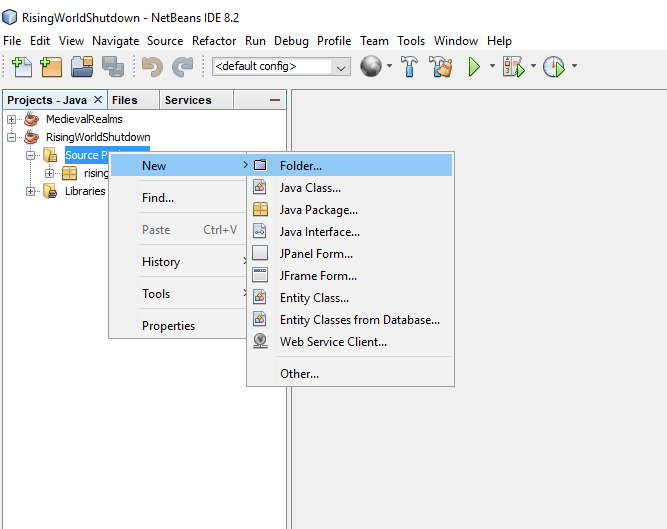 They don’t work (yet) with NetBeans nor does Rising World support anything higher than v8 on the server side. Once you’ve installed the JDK you will be able to write and compile Java code (but not very easily). What you really need now is an Integrated Development Environment (fancy talk for a program designed to assist you in writing code). I learned on Eclipse – it’s great. But when I started to write MR I decided to try out NetBeans. 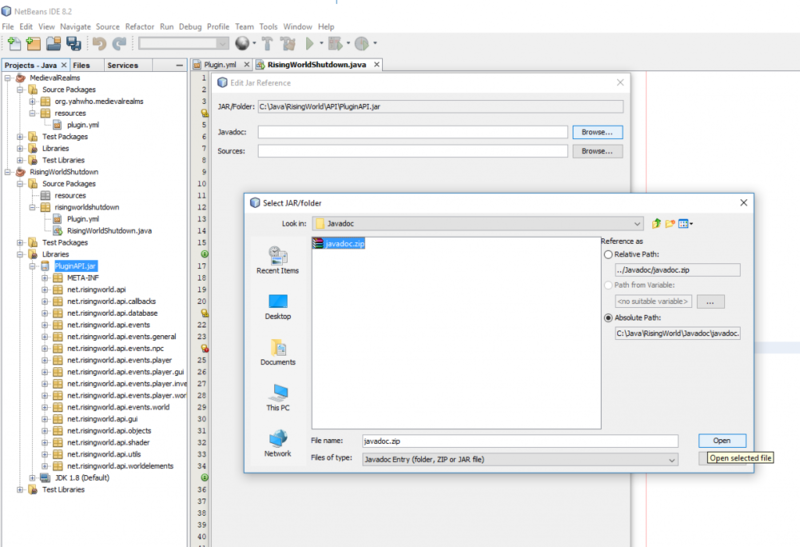 NetBeans now, in my opinion, is better – so that’s what we’re going to use moving forwards. So you’ve got NetBeans and the JDK installed? Great. Time to cook up some code! We’ll not quite. First we need to do a little more setting up so our IDE knows about the Rising World API (Application Programming Interface). Don’t worry about what API means, just think of it as your bridge to get your code to talk to Rising World’s code. Head over to the RW Plugin Discussion forums. (I can’t provide you a concrete download link as it changes with each API update 🙁 ). Following the link jump into the topmost thread which will be named something similar to API Changelog 0.9.x. Scroll down to the bottom of Red51’s post and you’ll find a link similar to `Latest Download: download.rising-world.net/api/PluginAPI_0.9.x.zip`. Click on it. Download it. Extract it. Inside you’ll find two files. The API file and the associated Javadoc. Create a directory structure to suit you. I’m going for but feel free to plonk these files anywhere you want. Leave Create Main Class checked (or check it if it isn’t – but it should already be checked). Then Finish. Soup-er. we’ve not got our structure ready. Let’s now flesh out our new plugin.yml file. So let’s enter the following text into plugin.yml – make any changes to match your plugin name. description: "Medieval Realms Server Shutdown Plugin"
Woop, we’re really cooking on gas here. Now let’s turn up the dial and add the bone stock to liven up our code soup. 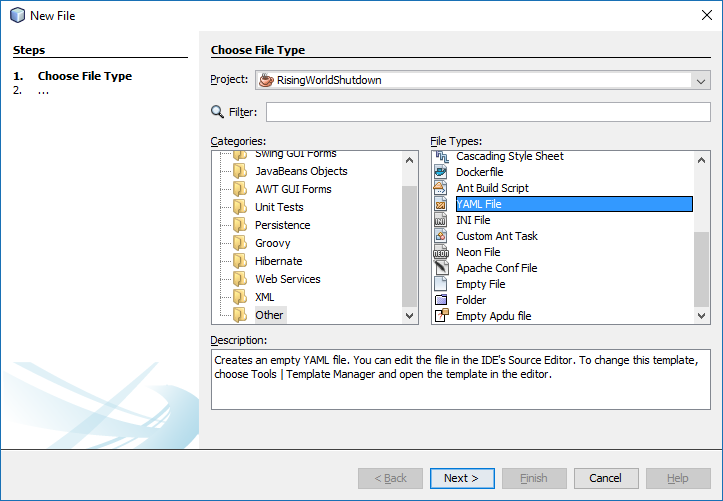 Right click on your project name (RisingWorldShutdown) > Properties, under Categories on the left hand panel click on Libraries > Compile Tab > Add Jar/Folder.. 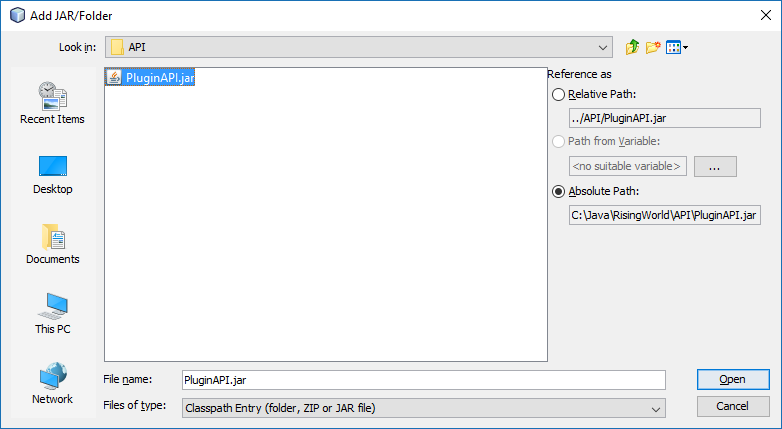 Locate your PluginAPI.jar file (remember here it’s C:\Java\RisingWorld\API\PluginAPI.jar) > Open. Awesome, we’re all setup and cooking on gas. Time to grab a brew and congratulate yourself. The soups stock is close to being ready. We just need now to extend our class from the Plugin class, add a few vegetable imports and, implement a couple of wholesome methods. We can fish out that that main method too – it doesn’t taste very nice. This is now where the fun really starts. We’ll advance further with our code cooking in the next article. Please consider checking out one of our site sponsors. It really does help support the development of Medieval Realms. Medieval Realms is a dedicated multiplayer server for Rising World running a unique medieval themed plugin. Medieval Realms survives with donations made by players just like you.